About 75 years ago, U.S. Marines landed on the islands of Guadalcanal, Tulagi and Florida in the British Solomon Islands. Their mission was to block the Japanese from building an airfield on the island and, after blocking them, to build their own base to fly from while the Marines drove the remaining Japanese out. The U.S. Navy would land the Marines on the island, block Japanese resupply and reinforcements from landing, and secure the American line of supply from Australia and New Caledonia. Two months earlier, the Japanese had suffered a strategic defeat at Midway, losing a substantial portion of their fleet in the process. Japan was not without resources, but its primary thinking was now the strategic defensive. It sought to secure its gains by two means: reinforcing the layers of islands it had, and conducting regional offensives in defense of its holdings. The American fleet wasn’t ready for major operations, nor did the U.S. Air Force yet exist in force, but the U.S. strategy had become obvious. There were two lines of attack available. First, there was a western offensive, running from Australia to New Guinea to the Philippines to Taiwan and Okinawa. Second, there was an offensive from the east: Hawaii-Gilbert Islands-Carolines-Marshalls-Marianas-Bonin-Okinawa. Put in terms of the critical and famous islands, this was an offensive through Tarawa, Saipan and Iwo Jima to Okinawa – and many other brutal but less famous islands. Besides North Korea and the United States, the country to watch for developments in this developing situation is South Korea, which finds the prospect of war unacceptable. The threats made by North Korea are conditional, emphasizing that the United States should avoid any military provocation. It still isn't clear that the Hwasong-12, the missile listed in the announcement, is reliable enough for such a demonstration. North Korea has released specific details of its plan to strike the U.S. territory of Guam. According to comments attributed to Gen. Kim Rak Gyom, commander of the Strategic Force of the Korean People's Army, the military is drawing up plans for a four-missile salvo of Hwasong-12 intermediate-range ballistic missiles to fly over Japan and land about 17 minutes later 30-40 kilometers (18-25 miles) from the island of Guam. Once prepared, the plan will be presented to North Korean leader Kim Jong Un by mid-August, after which Pyongyang will "keep closely watching the speech and behavior of the U.S."
The specificity of the North Korean threat has raised concerns, and it follows a statement by the Strategic Force a day earlier by that they were "carefully examining the operational plan for making an enveloping fire at the areas around Guam" as a response to the frequent flights of U.S. strategic bombers from Andersen Air Force Base on Guam to the Korean Peninsula. The statement said North Korea would consider a launch of missiles as "a serious warning signal to the U.S." Both statements — and the purported preparation of the new operational plan — come shortly ahead of the annual large-scale Ulchi Freedom Guardian exercises between South Korea and the United States, which begin at the end of August. The subsequent years were not good to Western understanding of Russian military thinking. Other regional priorities, not least in the Middle East, meant that expertise on Russia was side-lined or wound down. On one hand, some hoped that Russia might become a partner – and not a subject of concern. On the other, the Russian armed forces clearly faced numerous serious problems and so did not pose a threat. Historically, China has been a great innovator contributing inventions such as gunpowder, paper and the compass to human advancement. However, China has earned an international reputation in recent decades as being the home of a prolific copycat culture. 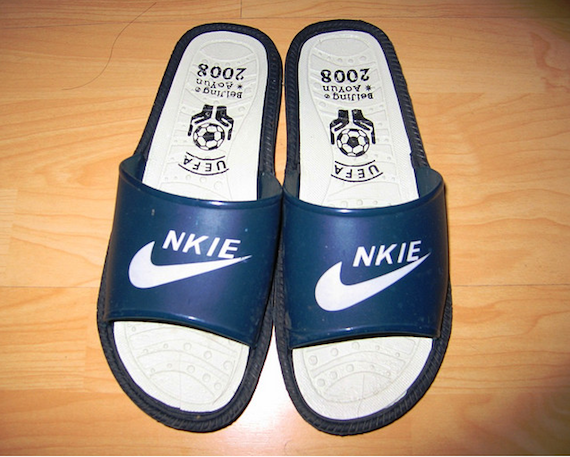 The fact that the Chinese commonly refer to today’s imitation products as “Shanzhai” indicates that they recognize the dubious nature of the current practice. The term “Shanzhai” translates to “mountain stronghold” and was originally applied to pirate factories producing counterfeit goods in remote areas beyond the reach of regulatory control. One would hope that the North Korean "crisis" is moving away from bluster and counter-bluster, and towards the realism shown by Secretary Tillerson, Secretary Mattis, and General McMaster. One might even hope that President Trump might have learned that gross overreaction and issuing empty threats discredits the U.S. in terms of allied support and is not a meaningful bargaining tool in dealing with fellow blusterers like Kim Jong Un. One might even hope that media and think tank reporting and commentary would be a little more critical and interested in the facts in a future crisis. Far too much of what has been said would have done a much better job of fitting the Cuban missile crisis than the reality of North Korea. Testing a missile booster and a reentry vehicle is a long way from having an actual operation missile. Having a design capability to make a relatively small fission warhead is a long way from having produced and test an actual warhead design — much tested, recovered, and examined a passive design fired on an actual missile. It is all of 228 miles, or 367 kilometers from Havana to Miami — a range any proved short range ballistic missile could cover with enough accuracy and reliability to hit an urban sized target. Google reports that it is 5,055 miles, or 8,055 kilometers from North Korea to Seattle — although some sources put it lower. Google reports that it is marginally longer to San Francisco (5,459 miles) and Los Angeles (5,806 miles), and much longer to New York (6,672) miles. Firing an unproven missile with an unproven warhead in an unproven RV with unproved accuracy and reliability at these ranges against a major nuclear power goes from stupidity to insanity. 'Even though an India-China military conflict scenario seems unlikely, its possibility gets enhanced if our capabilities are seen to be inadequate by the adversary,' warns Vice Admiral Premvir Das (retd). 'We will fight with whatever we have' is a statement famously attributed to then then chief of our army, General V P Malik, at the time of the Kargil War. Nearly two decades later, including three years under the present government, it is not certain if the picture has changed much. According to the most recent reports of the Comptroller and Auditor General, the current army chief, General Bipin Rawat, may well have to make the same lament, should military conflict be forced upon India anytime soon. Why the situation should have not improved in all these years is one question; how this fits in with the army's publicly articulated position that it has to be ready to fight a 'two-and-a-half-front war' warrants even closer analysis. The Chinese media is not known to go rabid on its own without government direction or acquiescence. So we should not treat its harsh rhetoric on the Doklam face-off lightly. The possibility of the confrontation resulting in some kind of military skirmish at a place of its choosing cannot be ruled out, given the presently intractable demand that Indian troops must unilaterally withdraw from what the Chinese claim is their territory. PLA has warned Beijing that diluting stance on Doklam would embolden other countries. Analysts tracking developments within the China-Pakistan alliance of the two militaries warn that the Pakistan side is seeking to move the relationship “from the strategic to the tactical”. GHQ Rawalpindi’s expectation is that in future, field operations will take place in a coordinated manner, and both sides will participate in actions undertaken on the initiative of any of the partners. The analysts say that the intention of GHQ Rawalpindi is to make the China-Pakistan military alliance “acquire the core characteristic of NATO, which is that a conflict involving one of the parties will inevitably bring in the other”. There has been a deepening rift with the United States—caused by the unwillingness of Washington to sign off on GHQ-ISI plans for destabilisation of Afghanistan and India—that has brought the Pakistan army closer to the PLA, which has adopted a “Don’t Ask, Don’t Tell” policy towards the several subversive activities of the Pakistan army in its neighbouring states, including Iran, Afghanistan and India. Especially during the final two years of the Barack Obama administration, the Pentagon has repeatedly cautioned GHQ Rawalpindi not to continue with its proxy wars against India and Afghanistan, even while adopting a policy of “wilful blindness” towards activities targeting Iran. Very quietly and without any direct public acknowledgement of the fact, the generals in Islamabad have moved Pakistan into the anti-Shia military alliance led (and funded) by King Salman of Saudi Arabia. While the alliance speaks of countering Iran, in actual fact, it is directed against any effort by the Shias to acquire parity with the Sunnis (including the Wahhabi layer). The judicial coup against Pakistan Prime Minister Nawaz Sharif was caused by the former Premier’s aversion to some of the “special operations” being conducted in Iran, Afghanistan and India by GHQ-ISI. It is expected that his successors will once again adopt the policy urged on the civilian leadership by the military, which is to “see, speak and hear no evil”, i.e., the new leaders should not seek to know about—much less block—ISI special operations cleared by GHQ. In a serious turn to the existing tensions between India and China, troops of the two sides clashed on Tuesday, with both pelting stones and hitting each other. Men on both sides were injured. This was the first such incident in several years. 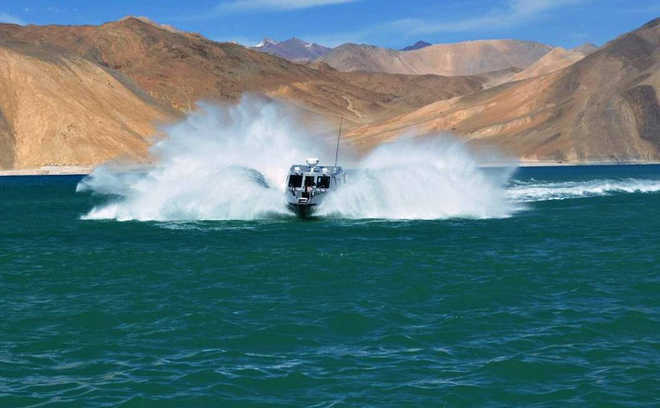 Sources confirmed that the incident occurred when land-based patrols of both sides came face to face north of the Pangong Tso (lake) in eastern Ladakh in Jammu and Kashmir on Tuesday. It is an area claimed by both countries and is one of the spots where the two countries fought pitched battles during the 1962 war. The Pangong Tso, a 135 km-wide glacial-melt lake, straddles both countries. 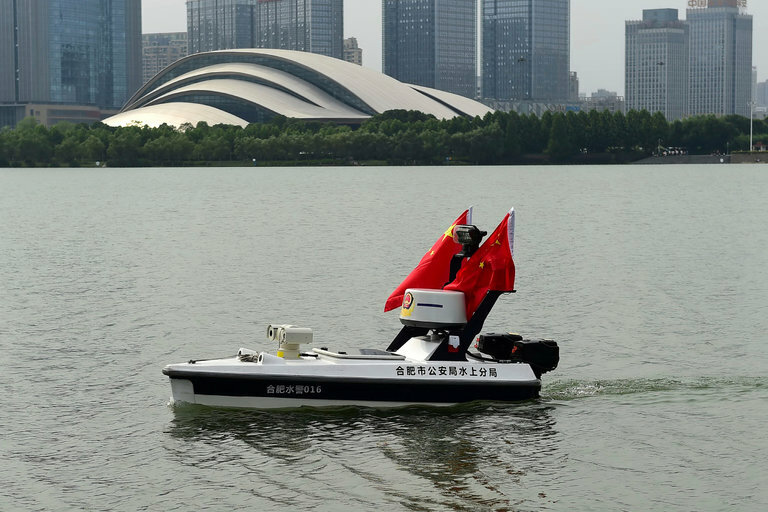 It has boat patrols from either side. The land patrols are different from these. The spurs of the mountains forming the northern bank of the lake are militarily termed as ‘fingers’. On a west-to-east axis, India claims territory till ‘Finger 8’, but is in physical control till ‘Finger 4’. The aerial distance between the two ‘fingers’ is about 15 km. The land north of these mountains is disputed. Land patrols of both sides often come face to face and a drill is followed to disengage. This includes unfurling of a banner, asking each other to withdraw. This is the first step. It is almost two months since Indian and Chinese soldiers became locked in a standoff at Doklam in the Sikkim Sector. The faceoff was triggered when a team of the People’s Liberation Army (PLA) was prevented by Indian troops from extending a class-5 track in the Dolam Plateau area which is part of Bhutanese territory. The Indian Army acted in response to a request from the Royal Bhutan Army under the terms of the 2007 Bilateral Friendship Treaty. Moreover, the PLA’s track building is in contravention of the 2012 Agreement between the Special Representatives of India and China, whereby the status quo was required to be maintained in the said area until the resolution of the trijunction in consultation with Bhutan. Post 1962, there have been numerous border incidences between the Indian and Chinese militaries; Nathu La in 1967 and Sumdrong Chu two decades later. In the recent past too, the Depsang Plateau and the Chumar-Demchok area witnessed face-offs in April 2013 and September 2014, respectively, with the latter intriguingly coinciding with President Xi Jinping’s visit to India. Incidentally, the current Chinese incursion in Bhutan happened around the time of Prime Minister Modi’s visit to the United States. Given the opaque Chinese system, deciphering the intent of its Communist leadership poses a real challenge. According to the eminent scholar Derek Bodde, those who deal with China are often bewildered when the actions of its leadership send mixed signals, making clear interpretation extremely difficult. The People’s Republic of China (PRC) draws from its ancient thinkers. Its actions are always deliberate, like the moves on a checker board. It is imperative to gain an insight into the Chinese psyche and decode China’s strategic calculus in order to effectively cope with its grand designs. When the Soviet Union withdrew its army from Afghanistan in 1989, its defeat seemed complete and irreversible. Most Afghans bitterly repudiated the attempt to impose communist rule by force. An Afghan communist officer who fought with the Russians told me that his side lost because they could not overcome their image as atheist infidels. Today, however, Russia is seeking to remake its image by exploiting Afghan disappointment with the dismal results of the post-9/11 intervention by the U.S. and its allies. This Russian deployment of so-called “soft power” appears to be paying dividends in ways that could hardly have been predicted when the Soviet Army left Afghanistan after nine years of war. 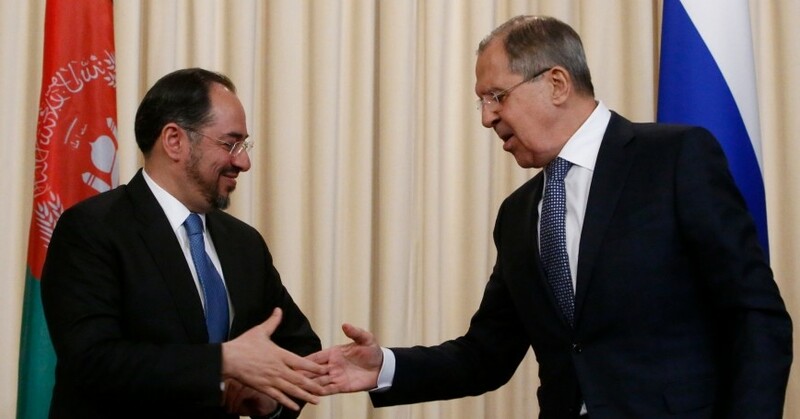 The Russians are ramping up political, economic and propaganda activities to improve their image and reestablish their influence amid pervasive corruption that is impeding progress in Afghanistan. Regardless of the gains that have been made in some areas, masses of unemployed Afghans have lost hope and are emigrating in unprecedented numbers. Afghan soldiers are fighting valiantly, but terrorist attacks are on the rise and the U.S.-backed Afghan government appears incapable of establishing security across the country. The bulk of U.S. and NATO military forces have departed, aggravating Afghan fears of being abandoned again by the West…Read on. The British Army is filled with graduates, the Sandhurst chief has said, as he reveals plans to entice school-leavers by offering them a university degree alongside their officer training. General Paul Nanson, Commandant of the Royal Military Academy Sandhurst, said that 18-year-old feel that they should go to university because it is the “done” thing, and often have not considered alternative options. He said that when he was at Sandhurst, it was evenly split between university graduates and school-leavers, but now the vast majority - around four fifths - of Officer Cadets arrive with a degree. “You want to try and get youngsters in early and develop them yourself rather than [choosing from] an ever increasing pond of graduates,” said General Nanson, who was appointed a Commander of the Order of the British Empire for distinguished services in Afghanistan. 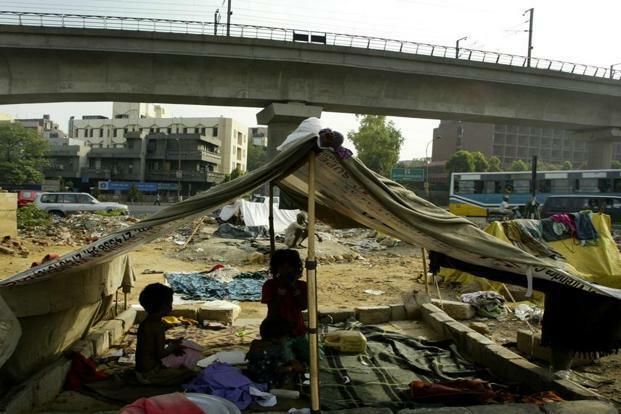 Seventy years after the British left undivided India, what is the state of its people? 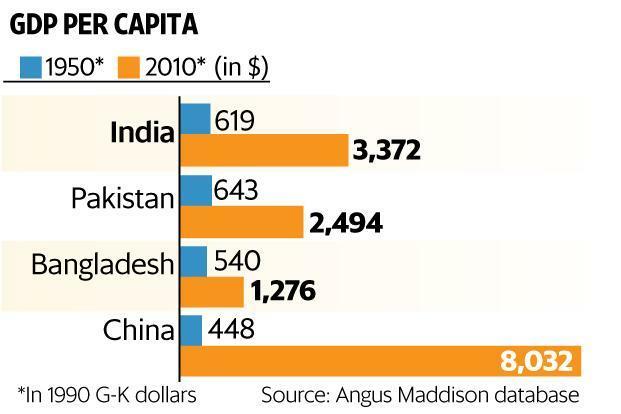 The eight charts presented here compare the trajectories of three countries in the region—India, Pakistan and Bangladesh. Additionally, data for China has been included to give us a sense of what might have been had we taken a different path. The picture that emerges from these charts is that although India, Pakistan and Bangladesh are all now officially classified as countries of ‘medium human development’ by the United Nations and their economies are now much wealthier, their masses still live in poverty, working in precarious jobs with little security, in the midst of glaring economic and social inequalities and injustices. There is nothing new about all this, of course, except that recounting these facts may serve as a corrective to the absurd chest-thumping that has become popular these days. BEIJING — In Chinese schools, students learn that the United States became a great nation partly by stealing technology from Britain. In the halls of government, officials speak of the need to inspire innovation by protecting inventions. In boardrooms, executives strategize about using infringement laws to fell foreign rivals. China is often portrayed as a land of fake gadgets and pirated software, where intellectual property like patents, trademarks and copyrights are routinely ignored. The reality is more complex. China takes conflicting positions on intellectual property, ignoring it in some cases while upholding it in others. Underlying those contradictions is a long-held view of intellectual property not as a rigid legal principle but as a tool to meet the country’s goals. Those goals are getting more ambitious. China is now gathering know-how in industries of the future like microchips and electric cars, often by pushing foreign companies attracted by the country’s vast market into sharing their technology. It is also toughening enforcement of patents and trademarks for a day when it can become a leader in those technologies — and use intellectual property protections to defend its position against rival economies. NEW DELHI: Balkanisation of China seems to be imminent. The so-called unity within the Chinese Communist Party is in tatters as all three factions are involved in a bitter feud. This is likely to intensify in the coming months, triggering the beginning of a revolution and then disintegration of the country into seven independent territories. The Shanghai faction, led by Jiang Zemin, and Hu Jintao-led Beijing faction are caught in a covert war with Zhenjiang faction, led by President Xi Jinping, and each one is trying to eliminate the influence of the other in the dirty political game. And, behind the scene is a massive labour unrest, pro-democracy protests against the present regime that hardly find mention in the highly-censored national and international media. Spies and analysts closely monitoring the growing turbulence in China believe that the collapse is likely to be expedited as unprecedented crackdown against opposition and disappearance of lawyers and human right activists is causing massive chaos in the Chinese hinterland. Unprecedented crackdown on opposition and disappearance of lawyers and human rights activists is causing massive chaos in the Chinese hinterland. “Thanks to brutal control over media, China has managed to mute news reports about hundreds of protests in provinces. But some underground activists have provided details on what we now know as a major uprising against the Xi Jinping regime ahead of 19th National Congress of the Communist Party,” sources said. Why Are More Civilians Dying in USAirstrikes on ISIS? The debate over the increase in civilian casualties caused by the U.S.-led coalition in the campaign against ISIS grows more contentious by the day, even as the tempo of operations has slowed following the fight for Mosul. A dispassionate and systematic internal assessment is long overdue, for the benefit of civilians caught in today’s wars and tomorrow’s — and for U.S.strategic goals. The fact that North Korea has developed an Intercontinental Ballistic Missile (ICBM), as well as a miniaturized nuclear warhead, has dominated recent news. The real story, though, is that this shouldn’t be a big surprise at all. In fact, for several years open-source intelligence (OSINT) has told us this was in the works. Readers of Fox News Opinion have known since 2012 and 2013 that North Korea’s successful launch of the Unha-3 rocket in 2012 was more than just a successful rocket launch. Using the same delivery system as the Taepodong-2, North Korea’s long range ballistic missile, the Unha-3 (which is believed to have range of 6,200 miles) was able to successfully put North Korea’s first satellite in space in December of 2012. Will The U.S. Strike North Korea? BEIJING – Donald Trump is running out of patience with North Korea. Using heated language unusual for a US president, Trump recently warned that if Pyongyang threatens to attack the United States again, the US will respond with “fire and fury like the world has never seen.” Whatever action Trump decides to take, he must recognize that the stakes – not just for the Korean Peninsula, but also for America’s relationship with China – could not be higher. North Korea’s two latest intercontinental ballistic missile tests, carried out last month, suggest that the country now has the capability to hit the continental US. The US Defense Intelligence Agency has concluded that North Korea may well have already developed a miniaturized nuclear warhead that could be delivered on such a missile. Experts from Johns Hopkins University anticipate a sixth nuclear test at any moment. The United Nations Security Council has now unanimously passed the harshest sanctions yet against North Korea, in the hope of pressuring the small country to renounce its nuclear-weapons program. The resolutionbans North Korean exports of coal, iron, iron ore, lead, lead ore, and seafood products, which together account for one third of the country’s already meager annual export revenue of $3 billion. It also prohibits countries from issuing new permits to North Korean workers abroad, whose wages, it is suspected, help fund nuclear and missile programs. At a time when tension between the US and Russia is higher than it has been in decades, we cannot forget that the relationship between these two countries is among the most important for global security. On any number of issues, from arms control to the Middle East, failure of the U.S. and Russia to communicate will make things much, much worse, with repercussions that will last for generations and affect the entire world. For this reason, CSIS and RIAC convened some of Russia’s and America’s top experts to think through the future of the bilateral relationship. The result is a series of papers that identify both the spheres where coordination is crucial and those where it may be possible, responding to mutual interests and potentially helping to stabilize the relationship and buffer against conflict in the future. For both, they offer concrete recommendations and a clear-eyed take on what can, and what cannot be done. The analyses that follow examine prospects for Russia-U.S. cooperation in several crucial regions and fields: economics, energy, the Arctic, Euro-Atlantic security, the Middle East, strategic stability, cybersecurity, and countering terrorism and extremism. They offer actionable recommendations in each area, some of which can, and should be undertaken today, and some of which should be considered by policymakers in Moscow and Washington as they chart a course through dangerous and uncertain times. This essay explores the themes of United Nations (UN) peacekeeping offensive operations and Unexploded Ordinance (UXOs), Explosive Remnants of War (ERW) and Improvised Explosive Devices (IEDs). As the character of conflict changes, there is an increased international focus on IEDs. The traditional threat of ERW has been further complicated by the preponderance of IEDs in war-affected countries. The UN is thus adapting its conventional approach in dealing with mines and UXOs to the complexities of asymmetric warfare where IEDs have increasingly become the weapon of choice for non-state actors. Earlier this year, United Nations Mine Action Service (UNMAS) celebrated its 20th year anniversary as the lead UN agency addressing the scourge of mines, and UXOs. The Security Council and UN Department of Peacekeeping Operations (DPKO) has also taken novel approaches in combating spoilers with the deployment of the Force Intervention Brigade (FIB) as the first strategically mandated offensive peacekeeping force. This essay discusses the interrelation between UN peacekeeping offensive action and the creation of UXOs and its potential effect on local populations and existing humanitarian crises and adds tactical and strategic analysis. The evolution of modern United Nations (UN) peacekeeping has resulted in a variety of complex operational situations with differing intensities of conflict. The use of force or the threat thereof to counter rebel groups and spoilers remains a fundamental part of peacekeeping, peace enforcement and prevention. The UN has adapted to changes in the operational environment with a number of innovations of which the deployment of the first offensively mandated force, the FIB, indicated a firm strategic resolve from the Security Council. The robust stance of the UN peacekeeping missions in Mali and the Central African Republic are also indicative of such approaches as well as the support role, which the UN has taken in the African Union mission in Somalia. This piece links the effect of tactical offensive operations to the further creation of ERW which may increasingly contribute to humanitarian crises. The story of Convict No. 276 and the Battle of Aberdeen. Fought between the Andamanese and the British, it finally pushed the tribe to extinction. In April 1858, Aga, a convict gangsman at the Ross Island penal settlement in the Andaman Islands shared an escape plan with his fellow prisoners incarcerated on the isolated island by the British after the 1857 rebellion. The gangsman, with his limited geographical knowledge, reasoned that once they reached the shore opposite Ross Island, it would at most be a ten-day march to Rangoon, the capital of Burma, where the convicts could seek refuge. The plan seemed infallible and the prisoners quickly accepted it. On April 23, 90 convicts boarded rafts made from felled trees bound with tent ropes and escaped Ross Island. After a two-day journey, 40 convicts from the stations at Chatham Island and Phoenix Bay also joined them. A contingent of 130 convicts marched into the unfamiliar jungles under Aga’s command. Everything seemed in order until Aga’s limited geographical knowledge was soon exposed. The convicts walked through thick jungles for 13 days with no sense of direction. Sometimes, Aga led them back to the same place they had passed days before. Words especially matter between societies that poorly understand each other’s motivations and intentions, as do North Korea and the U.S. In 1949, the United States withdrew its military forces from the Korean Peninsula. Secretary of State Dean Acheson then gave an important speech defining American national-security interests—which notably excluded Korea. Today, few people recall the military retrenchment by the Truman administration, which sent a powerful signal that America was narrowing its scope of action. It’s not the drawing down of U.S. forces but rather Acheson’s speech that is commonly cited as the signal of American abandonment of South Korea. Words matter: Acheson didn’t cause the Korean war, but his words are remembered as the provocation. Words especially matter between societies that poorly understand each other’s motivations and intentions, as do North Korea and the U.S. We can afford to be sloppy in our formulations among friends, where cultural similarity or exposure give context, but neither of those circumstances pertain with North Korea. So whether or not President Trump intended an ultimatum with his statement on Tuesday that North Korea “best not make any more threats to the United States” lest it face “fire and fury like the world has never seen,” it may have serious consequences. North Korea afterward threatened to fire missiles toward Guam. 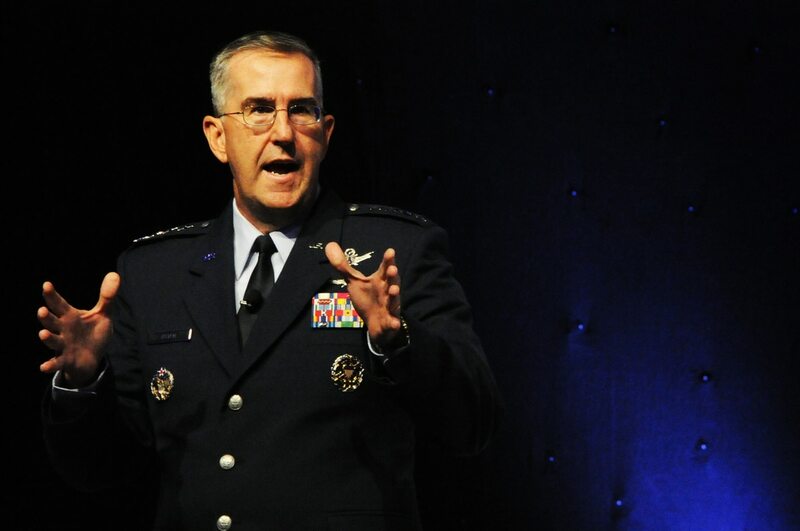 The next move falls to the U.S.
Washington (AFNS) -- Gen. John Hyten, Air Force Space Command commander, speaks to the audience on maintaining space and cyber capabilities during the Air Force Association's 2014 Air and Space Conference at the Gaylord National Convention Center Washington, D.C., Sep. 16, 2014. As AFSPC Commander, he is responsible for organizing, equipping, training and maintaining mission-ready space and cyberspace forces and capabilities for North American Aerospace Defense Command, U.S. Strategic Command and other combatant commands around the world. The U.S. cannot fall into the trap of focusing on warfighting domains when debating responses to an adversary, said Gen. John Hyten, the head of United States Strategic Command. The general, who has led STRATCOM since November 2016, circled back on that point later in the speech, warning that America’s assured dominance in air and space over the past 15 years could lead the Pentagon into bad habits. Airmen and Soldiers from the North Carolina National Guard train for Cyber Guard 15, conducting a "red vs. blue" cyber exercise with help from the Kansas Air National Guard (KAANG 177th Information Aggressor Squadron) acting as the opposing force. The NCNG Joint Cyber Defense Team defend a simulated mission-critical network from sophisticated network attacks conducted by members of the KAANG. Cyber Guard 15 is an exercise designed to defend Department of Defense information networks in the U.S. from disruptive or destructive cyber attacks. The exercise trains service members to rapidly detect and effectively respond to a destructive or disruptive cyber-attack impacting U.S. critical infrastructure. The Defense Department and Cyber Command continue to evaluate the effectiveness and construct of the newly established cyber force. "There is actually a study going on right now at CYBERCOM, cyber mission force 2.0, to look at do we have it right, how should we tweak it and things of that nature," Col. Robert "Chipper" Cole, director of Air Forces Cyber (forward), said during an event hosted by AFCEA NOVA on Dec. 13. Because the cyber mission force is just coming on board, Cole explained, many weren't sure what it was going to look like when it started. DoD is trying to figure out exactly how to formulate the force, he said. "Language matters. We know that in the offline world, and online is no different," says Alastair MacGibbon, Special Adviser to the Prime Minister on Cyber Security. "Until such time as we are better able to define and explain why we use certain words, the broader public can't be involved in a debate that is really necessary for all of society to be part of," MacGibbon told ZDNet on Friday. MacGibbon had just finished hosting a two-hour roundtable at the Department of Prime Minister and Cabinet (PM&C) to discuss an early draft of a document titled Words Matter: Australia's Cyber Security Lexicon -- although that title will probably change. The intention, according to MacGibbon, is "to help define, as best we can, what these words mean, so that we can all be on a common page as we discuss cybersecurity issues". It has the "express purpose of engaging the broader public in what is probably going to be the greatest existential threat that we face as an economy". One such set of words -- one of the phrases the draft document labelled "contentious cybersecurity terms" and which were discussed at length in the roundtable -- is "cyber attack". Motherboard does not condone illegal hacking. If journalists are unsure of what they can and cannot do legally, they should ask their publication's legal counsel. Journalists are increasingly using nifty tools like Signal to more easily communicate securely with sources and Tor to anonymously research sensitive subjects. But there's another avenue of techniques and technologies through which reporters can do journalism: tools used by legal hackers. We're not talking about exploits, password cracking, or anything illegal. Instead, journalists could use programs and tools created primarily for and deployed by hackers to scope out targets, companies, and connections with other items of interest. Imagine a hacker who is legally authorized to test a company's cyber defenses. Let's say the hacker wants to map out the company's web presence, including websites, email servers, and other info, so they can then decide which bits to probe more closely. The hacker might use something like Maltego, an interface and suite of tools that can quickly search for a website's IP address, pull up extra info from that, and then visualise all those data points and connections. A journalist can do much the same thing using the same tools. Maybe there is a series of scam sites with no obvious connection, but they actually all share the same Google Analytics code, suggesting a common owner. Or a reporter needs to map out a spyware company and see which other websites it owns. The Defense Department’s third vulnerability-finding contest invited international participants to attack USAF websites. They found the most bugs yet. Foreign and domestic hackers probed hundreds of security holes in critical Air Force networks for weeks in late spring, and the Pentagon knew all about it. But instead of getting punished, the hackers got paid. The Defense Department’s third and most successful bug bounty program, Hack the Air Force, uncovered a record 207 vulnerabilities in the branch’s major online systems. The department’s previous initiatives, Hack the Pentagon and Hack the Army, found 138 and 118 security gaps, respectively. Unlike previous bug bounty programs that were open only to Americans, Hack the Air Force invited hackers from four countries outside the U.S. to participate: Australia, Canada, New Zealand and the United Kingdom. Though inviting foreigners to hack military networks may sound unsafe, Air Force Chief Information Security Officer Peter Kim says the DOD frequently works with partner nations on initiatives to boost cybersecurity.